Spoiled meat is no laughing matter. Causes may vary, but the germs that grow on bad meat can cause serious health consequences. Oftentimes you'll notice spoilage, but sometimes the damage comes later due to poor handling of the meat or less-than-ideal storage conditions. In all cases, your best bet is to err on the side of safety. 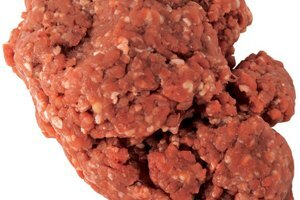 If you have any doubts about the quality of the roast, ground beef or steak, throw it out. The color of your beef may or may not indicate spoilage. 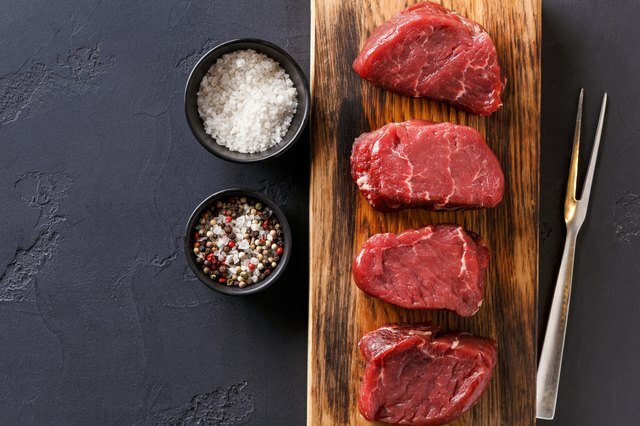 The animal's age and diet affects color, as does where the cut of beef comes from – muscles that get a lot of work, such as a chuck roast near the neck of a steer, may appear darker than muscles that don't have much work to do, such as a tenderloin steak from the back. That said, brown or darkened meat can indicate spoilage. 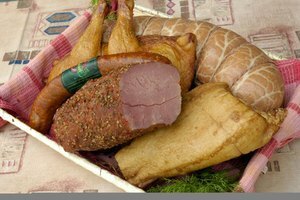 If the meat is also sticky or slimy to the touch, with an off odor that strikes you as odd, the meat is definitely spoiled and could make you sick. To keep yourself safe from questionable meat, learn the safety time periods and stick to them. Grocery stores do part of the job for you by indicating "Sell by" and "Use by" dates. 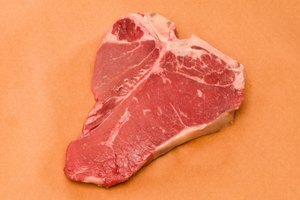 Beyond those guidelines, the U.S. Food Safety and Inspection Service recommends that most types of beef, such as steaks, chops and roasts, stay in your fridge from three to five days, and that ground beef stay in the fridge for only one to two days. Meat kept beyond those times has the possibility of going bad. Storage dates are a good guideline, but only if your refrigerator keeps meat at a safe temperature of 40 degrees Fahrenheit or below, or at 0 degrees Fahrenheit in the freezer. Many refrigerators come with a built-in thermometer, but older models don't. For older models, buy an inexpensive refrigerator thermometer or check the temp with an instant-read meat thermometer. Or, use a candy thermometer inserted into food or liquid that has been in the fridge for at least 24 hours. Keeping your fridge at the right temperature not only keeps your meat safe, but protects your health from germs that may grow on other foods as well. Paying attention to all the food safety rules doesn't have to be a chore – think of it as a food safety insurance policy. Mishandling meat can cause it to spoil much faster than normal. For example, bacteria on meat or any other perishable food can double in number in 20 minutes at room temperature. 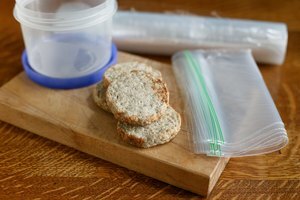 The U.S. Food Safety and Inspection Service cautions never to leave food at room temperature for longer than two hours, or one hour when the temperature is over 90 degrees. The Kitchn: Does Your Fridge Have a Fever? Check Its Temperature!